Enterprise Resource Planning software isn’t just for the big guys. If you’re a sales and service oriented small business seeking to grow, you can do so efficiently and profitably with small business ERP. Enterprise Resource Planning (ERP) software for Small-to-Medium Businesses (SMBs) has become a popular choice over the last decade for growing companies—and for good reason. Maintaining a lean team that can communicate rapidly is important when a small business is experiencing strong growth, and the company cannot maintain that growth without additional organizational advancements across departments. Software that’s used by one department may not correspond with the software of another department, creating siloes and hindering communication. If your company is still using spreadsheets to track finances and projects, you may be dealing with a growing amount of clerical errors, inaccurate reporting and slower response times. Grow your business with a customer-centric ERP solution. Download to learn more. FinancialForce's ERP solution for small businesses (SMB) halts this downward spiral. As back end processes are consolidated across departments, communication begins to improve. Methods are identified that increase the optimization of certain processes and procedures. And human errors decrease dramatically as the ERP system in place will automate the majority of menial tasks. All of these benefits would be meaningless if our ERP software didn’t possess extraordinary flexibility and scalability. Strong app support, fully customizable reports, and additional privacy settings are all necessary to improve a company’s experience with their ERP software. And since FinancialForce ERP operates within the cloud, a business only pays for what they need—and nothing else. In today’s world, running your ERP software in the cloud is almost a necessity. Setting up your own in-house ERP solution with an IT department to run it is both expensive and time consuming. Even if you have the hardware in place and just need to install the software, you’ll still be dealing with upgrade expenses and lengthy setup times. Do your apps sync, grow, talk to each other to drive business value? Today, a true customer platform must include customer-centric ERP and CRM. Watch this 2-minute video learn why the smartest, fastest growing companies are combining FinancialForce ERP with Salesforce CRM and keeping it all on the Salesforce1 Platform. The cloud-based ERP solution offered by FinancialForce gives you the flexibility to work from anywhere, on any device—not just on your computer at work. It completely eliminates the need to buy or upgrade software since this is all done for you. And best of all, you have access to enterprise-level software at affordable rates. Oh, and did we mention that we’re operating on the very same platform developed and used by Salesforce CRM? Imagine being able to manage both your back-end and front-end processes, all from one, consolidated platform. Sounds good, right? 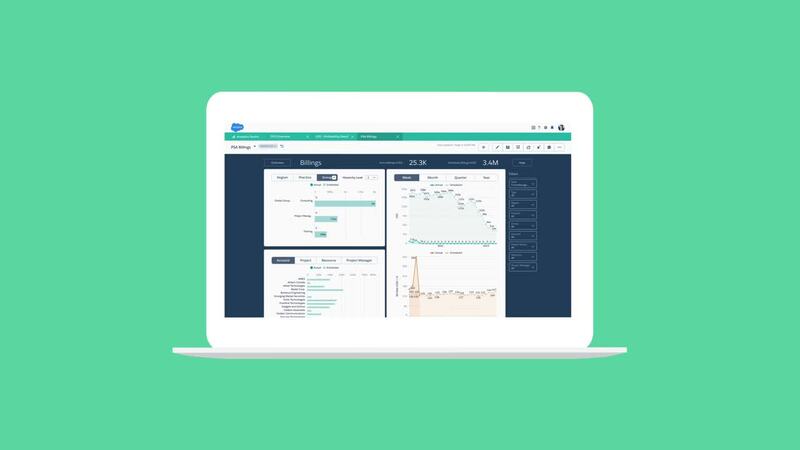 By combining Salesforce CRM with FinancialForce ERP on the Salesforce1 Platform, you can provide an unprecedented level of organization and communication for small businesses.